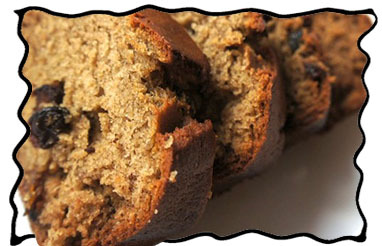 Banana Bread Recipe - Delicious, Homemade, Redolent - Easy One-Bowl Cake! 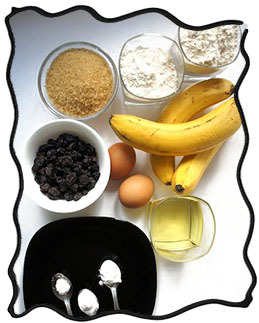 Bananas have been used in baking since ancient times. 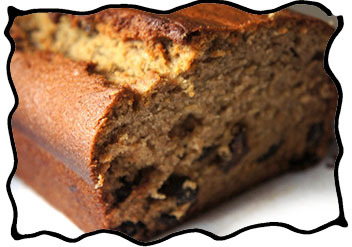 Some sources date it back more than 4000 B.C., with first banana breads being cooked in Egypt. It is one bowl cake recipe really easy to cook. Even a child can do it. Just let him or her try! Watch the video recipe here! 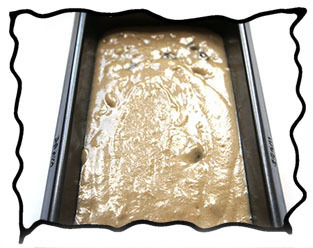 Grease a square baking form and set aside. Peel the them and place into the blender. Press the button and watch the miraculous process of the bananas turning into a fresh flavory puree. Enjoy the aroma for a moment and set aside. 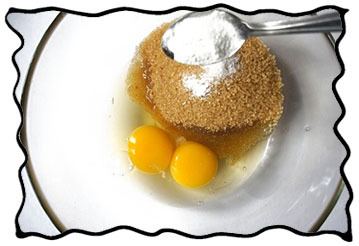 Meanwhile, beat the eggs, add the brown sugar, soda, salt and vanilla extract or vanillin powder. 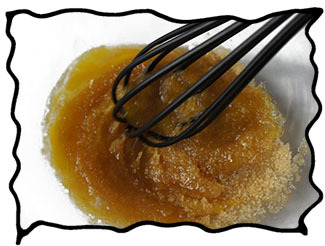 Add vegetable oil, then pour in the banana puree. 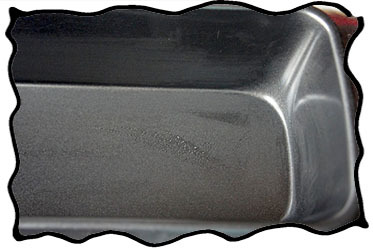 You may use either olive, sunflower or any other refined vegetable oil you find suitable. 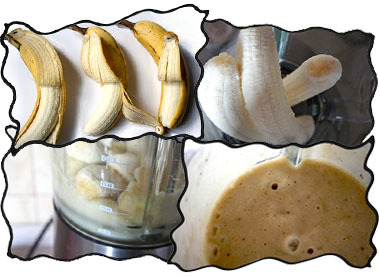 And of course the banana puree: don't look at the color: it is yummy! 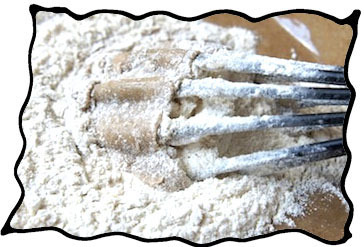 Mix and fold in the flour. 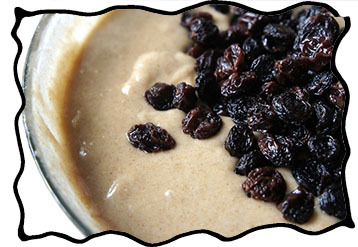 Add raisins and stir the batter to spread them evenly inside. 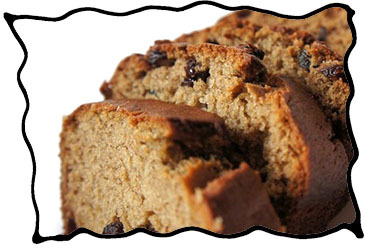 Sometimes it's a good idea to add chopped walnuts or dried apricots or prunes or maybe chocolate chips. It all depends on your preferences! ...and discover that you have just baked a masterpiece in about 40 minutes. OMG! This smell is amazing! And the pleasant moment of cutting the bread into slices. Mmmmm! 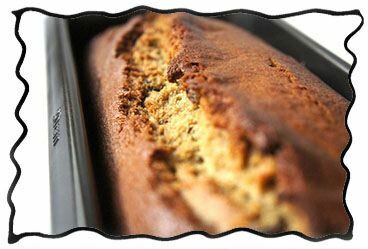 Watch the video recipe for banana bread below and enjoy the musical inspiration: baking with such a tender mood will definitely make you hear "I love banana cake. I want another slice now!" from your family and friends numerous times! Music and performance by James Kelly, I love banana cake. Is it ok to replace oil with butter? 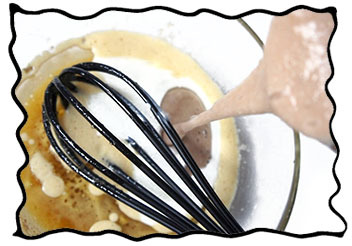 Yes, other versions of this recipe use butter or margarine. You may use either plain all-purpose or wholegrain wheat flour.